Imagine 3.8 billion years of slow but steady research and development (otherwise known as evolution), covering everything we need to survive and thrive here on Earth, freely available for everyone. You just need to know where and (more importantly) how to look for it, because the evidence of this massive R+D effort is everywhere. The study and exploitation of naturally evolved solutions for engineering systems is variously known as bionics, biomimetics, biomimicry, biognosis, bionical creativity engineering, bioinspired engineering, and maybe others. While there’s no single agreed name, there is consensus on the fact that nature is a great source for engineering inspiration. Due to the massive distances men (Uwe Hohn in particular) were throwing javelins in 1984 (over 100m), there was a danger that a javelin would clear the throwing area. To reduce the javelin's flight time it was redesigned to put its center of gravity in front of its center of pressure, so its nose pitched downwards in flight. This is an unusual example of a sport's governing body using engineering to justify a rule change, in contrast to the more usual rule change in response to an engineering innovation by a competitor. In some sports, such as motor racing and yachting, the equipment is the dominant factor in deciding a winner. Such sports have embraced engineering, especially mechanical and electronics engineering. 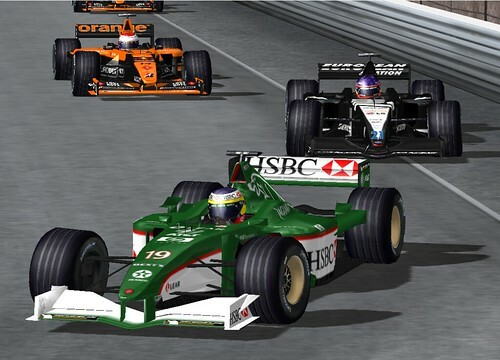 In the case of Formula 1 (F1) the engineering skills of the leading teams rival those of the best aerospace companies. The current debate as to whether a specially engineered Speedo LZR Racer swimsuit provides an unfair advantage to its wearer is analogous to the debate concerning the 1 hour cycling world record back in 1993. Starting in 1993, cycling faced an arms race of sorts with the prospect of continuous aerodynamic innovation significantly improving the 1 hour world record. This caused people inside and outside cycling to question whether human performance really mattered. Engineering plays an important role in most sports. Whether it's a seemingly simple sport, such as running (take a look at the latest running shoes to see advanced engineering in action), or an obviously engineering-dominated sport, such as Formula 1 motor racing, it is difficult to find a sport untouched by engineering innovation. Over the next few weeks I'll explore to what extent engineering influences sports and how sports influence engineering. X-plane is the legendary designation of an experimental US aircraft, such as the North American X-15. An X-plane is typically designed to explore the boundaries of technology in pursuit of higher speed, altitude and maneuverability. The second Formula Hybrid International Competition (May 5-7, 2008) just wrapped up at New Hampshire Motor Speedway. Originally conceived and again hosted by Thayer School of Engineering at Dartmouth, the event attracted 15 teams, up from the 9 teams who entered in 2007.